Is glaucoma only an eye disease or is the brain also involved? 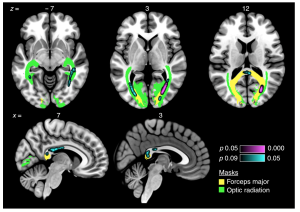 In a paper published in a special issue on “Imaging the visual system: from the eye to the brain” of the journal “Ophthalmic and Physiological Optics”, Joyce Boucard, Sandra Hanekamp and colleagues address this question by examining white matter integrity in Japanese glaucoma patients. This population has a very high incidence of normal-pressure glaucoma in which optic nerve damage occurs despite an absence of the elevated eye pressure that is commonly associated with glaucoma in e.g. Europe. They find evidence for neurodegeneration also beyond the visual pathways, which suggests that this damage is not simply propagated from the damaged optic nerve. 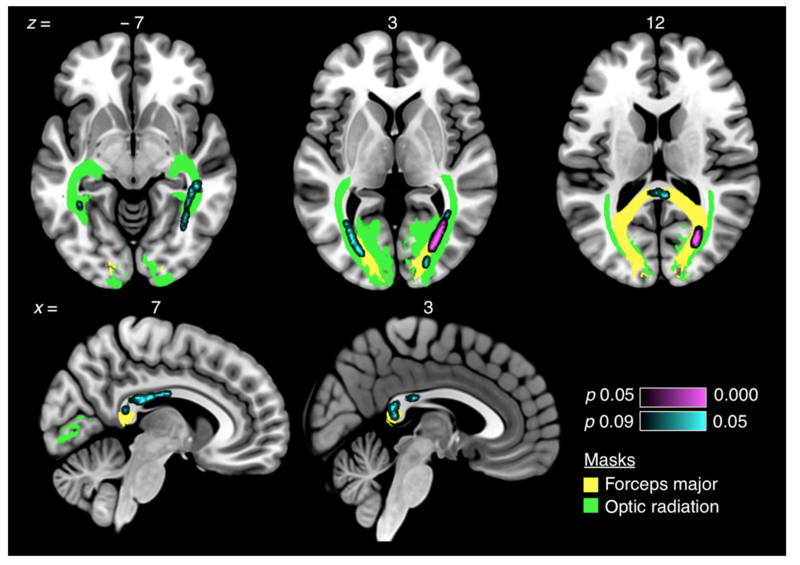 Therefore, this finding implies an independent brain component to glaucoma.